You are here: Home / Finalists in The Meath Style Awards 2014! Is your dream wedding dress that cost a small fortune now a dishcloth or have you flogged it for little or nothing? An innovative, new bridal wear business in Trim is making sure that future and past brides all get to say ‘I do’. 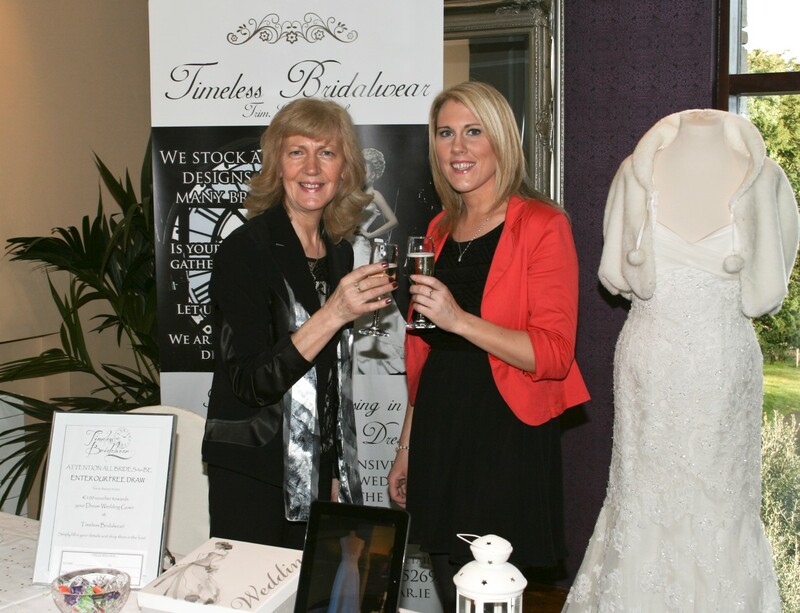 Opened in early 2014, Timeless Bridal wear specialises in pre-loved dresses and is owned by mother and daughter team Lizelle and Adele Moran who are only “too aware of the exorbitant costs involved for a couple in advance of the big day”. They said: “Many brides pay thousands of euro to feel magical, elegant and beautiful and then the dress is zipped up in a bag and left in a wardrobe. “We feel that this is such a shame so we set up Timeless Bridal wear to give stunning dresses another day to glow in the spotlight.” Offering an almost unique Irish service, Timeless is that “necessary link between a past and future bride”. The duo will market, promote and advertise the dress for their client to get the sale and ensure that a new bride gets their dream dress at less than half the retail price. “Many brides leave our boutique with a highend designer dress that they otherwise could not afford and with the sneaky possibility that they can now afford that extra week’s honeymoon,” they say.